Please rescue this dog. Click on the photo for nore information. The shelter was established to care for abused pets awaiting trial outcomes. Since the shelter closed, the Lawrence County Humane Society is in need of foster homes. We rehome animals to new caring homes. Puppies and kittens are usually available, but consider giving an adult dog or cat the first loving home they have ever known. You will be rewarded with the love and loyalty of a grateful pet. 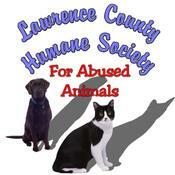 The Lawrence County Humane Society is a 501(c)3 non-profit organization depending entirely on fundraisers and donations. 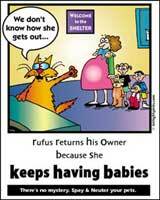 We are a no-kill, non-profit, all volunteer organization. Volunteers and donations are always needed. Donations can be sent to Lawrence County Humane Society, P.O. Box 412, Ironton, Ohio 45638. Donations are tax deductible. For directions from your town click here and put your town in the box at the bottom of the page then click on the Get Directions button. We need temporary homes where we can keep dogs that have lost their homes. This will be temporary foster care while we screen adopters through internet contacts. The Humane Society will work with foster care providers and pay all medical expenses. If you like dogs but for some reason you cannot keep a dog permanently or would like to try out caring for a dog before making the commitment to adopt then fostering could be ideal for you. You must have a securely fenced yard to foster a dog. 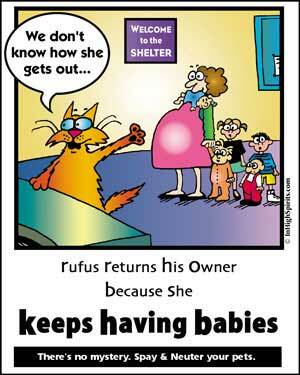 If you would like to adopt one of our pets, please fill out the ADOPTION APPLICATION FORM. You will not be considered for adoption until we have received your completed application form!